Measuring 182cm, SCO Angers'' average player height matches the one of Theo Pellenard. 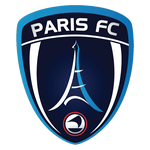 These days, Theo Pellenard's team SCO Angers comes twelfth place in Ligue 1 (France). He is one year younger than than his team's average age, as he was born on 04.03.1994. In January 2019, French defender Theo Pellenard joined SCO Angers (France), whom he is still playing for. He had but one match appearance this season. In terms of preferred feet, he is a left footer, like 24% of SCO Angers. Theo Pellenard played for Paris FC and FC Girondins Bordeaux before ending up in SCO Angers. His shortest stay in a club has been four months in his present-day squad. He received 14 penalties throughout his entire career (all yellow). This leads to an average of 1.4 cards per season. This play time, he has not caught any cards yet. At 156.53lb, Theo Pellenard carries 12lb less than the average SCO Angers player. He impressed in Ligue 2 15/16 (France), reaching his personal record of match appearances. So far this season, he won 40% of SCO Angers'' matches in Ligue 1. Unfortunately they did not manage to wrap up a single fixture, but at least tied four times. 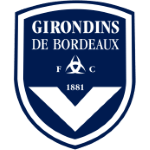 Theo Pellenard's longest stay in a team counts four years and 6 months in FC Girondins Bordeaux (France). His jersey displays the number 26. He reached the 55 appearances milestone as a professionl, the last one being 38 days ago. 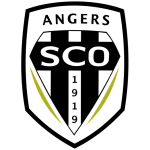 Besides Theo Pellenard, there are nine more defenders in SCO Angers'' lot: Vincent Manceau, Romain Thomas, Mateo Pavlovic, Abdoulaye Bamba, Yoann Andreu, Ismael Traore, Rayan Ait Nouri, Elhadji Pape Djibril Diaw and Ibrahim Cisse.